A special ICE Lab Halloween post! The new album Mogic by the band Hen Ogledd, along with their new video Tiny Witch Hunter, provides splendid technosocial commentary. Cloaked in a name conjuring the myths and legends of the Old North – the region stretching from the south of Scotland to the North of England – the band Hen Ogledd have become ghost android bards on their album Mogic. Approaching technology with creativity, vitality, and a haunted feeling in equal measures, Hen Ogledd have constructed a realm in which digitized voices sing in choruses with fey spirits, Northumbrian warriors, and Cumbrian saints to steady industrial beats or dub riddims. Hen Ogledd was founded by the avant-sublime singer-songwriter Richard Dawson and the infamous improvising harpist Rhodri Davies. Dawn Bothwell later brought Hen Ogledd enchanting electronic and vocal loops with a prophetic sensibility, followed by the addition of Sally Pilkington, whose singing ranges from pop-ethereal to melodically channeling a medieval ancestor of Prince’s alter-ego Camille. Recent films such as the Alan Turing biopic The Imitation Game and the speculative fiction love story Her address central figures and questions related to AI at the same time as the stirrings of desire, love, lust, and intimacy. As a research of AI and expression in a comparative media studies department I have been asked for my thoughts on these themes in recent months. Here I share some of these musings, sparked initially when the reporter Solvej Shou requested an interview with me for the BBC.com. I would like to introduce myself: I am D. Fox Harrell. I work as an Associate Professor of Digital Media at MIT. This post announces the launch of this website and blog here at foxharrell.com. 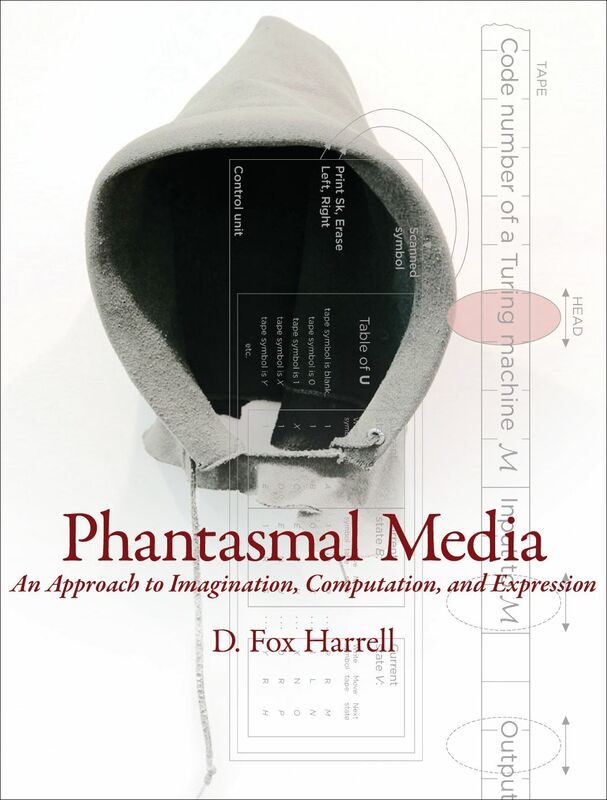 To celebrate this first post, I am making the preface of my book Phantasmal Media (MIT Press, 2013), available for your viewing today. It provides a good introduction of my personal trajectory and how and my research idea developed. I hope that you enjoy it. I aim to use this site as an avenue to express and discuss more about my research, thoughts, and ideas in a less formal setting. I plan to update this blog with more information, so do check back frequently for updates. By navigating around this page, you will see that much of my research involves developing new forms of computational narrative, gaming, social media, and related digital media based in computer science, cognitive science, and digital media arts. I look forward to engaging you in further discussions about my research in the near future!